Tasting notes: A very lively, balanced and lean champagne, carried forward by a great minerality from the calcareous soils. The nose is flowery and fruity with apple and lemon dominating. Long finish. 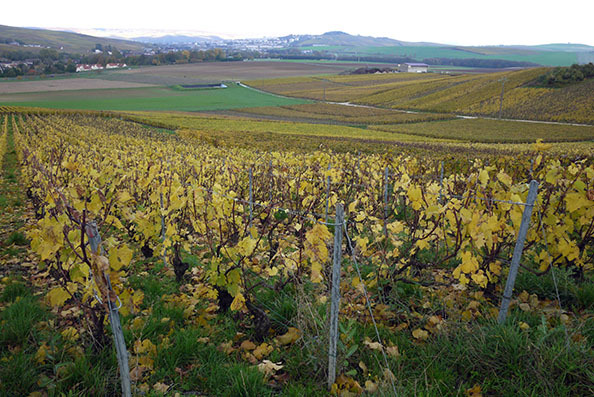 In a small valley between the famous Côte des Blancs and of Valle de la Marne, you find Coteaux Sud d’Epernay where Laherte Fréres have most of their wines. 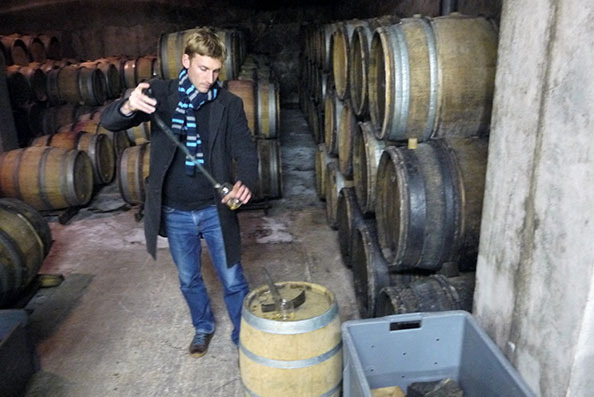 In charge of the vineyards is the son Aurélien Laherte, who just turned 30. 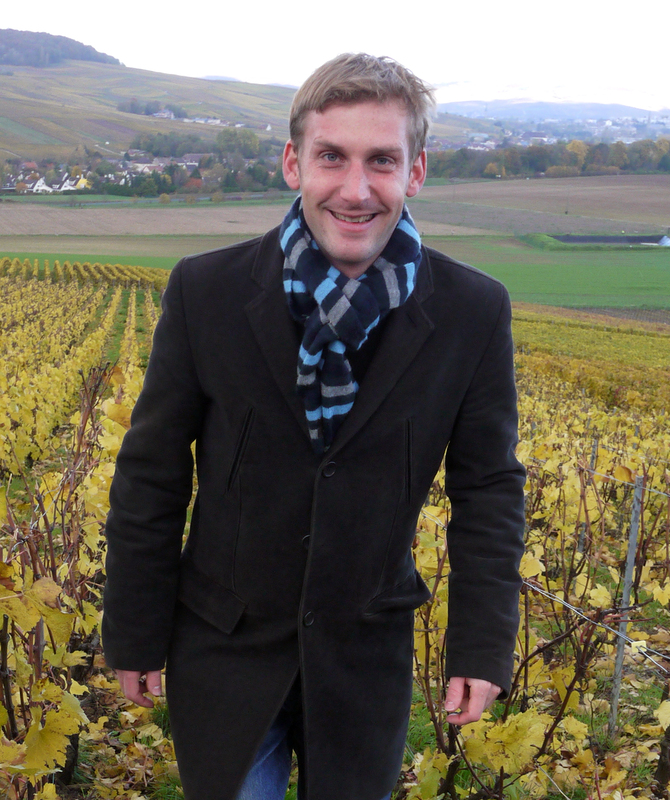 Aurélien has since 2002 been pushing the quality by slowly implementing organic and biodynamic approaches in the vineyards, and even the older generations are getting convinced. The difference can both be tasted and seen. Even though the domaine is registered as a négociant-manipulant, it is a true growers champagne. The reason for this is technical: There are quite a few family members who have a share in the vineyards, so the grapes a being sold from a broader part of the family, to the family of Aurélien. The family grows all the seven allowed grapes, but most of their production is on Pinot Meunier and Chardonnay. The chardonnay comes from different vineyards around Chavót-Courcourt, and the soil is characterized by having a 50cm layer of clay, and soft limestone beneath. 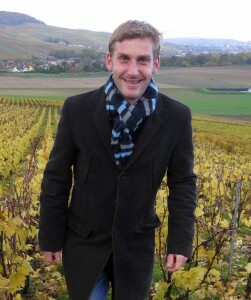 Some of the vineyards are north exposed, but according to Aurélien, the water drainage is more important than the exposure. The terroir here give the wines the minerality and finesse of Côtes des Blanc together with the fruit of Valle de la Marne. Also in the cellar, things are somewhat different. Laherte uses two old vertical presses, mostly because it simply feels right, and they are able to use their senses to determine the length and strength of the press. A press like this also takes longer time, which according to Aurélien optimizes quality. The wine is transported to the cellar by gravity, and all the first fermentations of chardonnay are carried out naturally in old barrels. The cellar is quite cold which inhibits some malolactic fermentation, and only about half of the wine in the brut nature is with malo. In the cellar music of piano is being played on speakers, which Aureliens wife implemented during the difficult harvest in 2010 to calm down her husband and the workers. Today it plays for the wine. Even though that the wines don’t have an organic certification, you are not in doubt that this family put a lot of heart in this great wine!